Thursday evening saw The Sun run with a story previously seen in Wednesday’s The Mirror alleging Grace had been “branded a diva”. Was this the start of a takedown, or just a shot across the bows, sending Grace a not-so-subtle reminder that they have the armoury to take her down if they want to? Our suspicion is a shot across the bows: for a start, “a source close to Grace” was allowed to defend her, which wouldn’t have happened in an all-out hatchet job; there was also the potential get-out clause of the line, “hopefully that’ll be the end of the matter”. Funnily enough, we also thought 5AM got a shot across the bows in week 3 last year, and they recovered to make the final. Nonetheless, it does suggest that Grace might have been doing something behind the scenes to warrant a warning shot – and that any further infraction might therefore indeed bring fury raining down upon her. As Janet Devlin’s roommate, the early favourite should need no reminding of what can happen to acts who get in TPTB’s bad graces. Looking back at the weekend, we thought the show still seemed perfectly happy with Grace – yes, there was a clear attempt to get her beaten, but only to get a fresh face into the prize fight, as there was an equally clear attempt not to inflict any lasting damage. She was on first in the running order, but introduced as “multitalented” by mentor Sharon. Her VT started by reminding us of her success, both on the show and in the iTunes Charts last week, and its main narrative was about her versatility. She explained: “I’m dancing this week. I haven’t before in this competition… I just wanna have fun up on that stage, and show people I can do different things.” She showcased her self-deprecating humour by joking that she hadn’t done an upbeat cover yet “because Grace writes depressing love songs”. 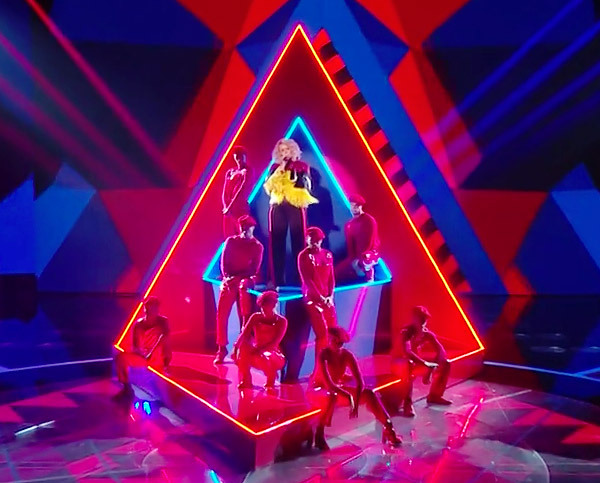 A harsh reading of the staging and styling would be that the triangular prop looked like a giant hazard sign, while Grace was dressed as a cross between a bird and the German flag. But there was much that was positive about it. She looked the best she has yet, and was clearly the star of a big, cohesive production. Looking distinctive set against her dancers, she started off elevated from them, before gradually moving forwards to end at the front of the stage. In a programme where cutaways to the panel and judges’ standing ovations were notable for lesser productions and performances, these tools were used to dampen enthusiasm, and thus her vote. There were two unflattering cutaways to judges mid-performance, and only mentor Sharon stood for her at the end. Judges’ comments also suggested an attempt to put a lid on her immediate vote, while giving her bigger-picture praise. Nicole continued with last week’s tactic of being hesitant, as if she’s struggling to think of something nice to say, starting with, “I love that song”, and praising Anne-Marie. Then, calling back to Grace’s promise of fun in her VT, the judges argued about whether she’d enough fun. Nicole said: “I just wanted you to enjoy it a little more… If you had I could’ve connected with it a little more”. Louis defended Grace, insisting she’d had fun. It was mildly vote-dampening, but not damaging in a long-term way. Louis took pains to hammer home that “we know you’re a great songwriter,” adding “now we know you’re a great performer”. This was important, as it addressed Sharon’s fear at judges’ houses that Grace is a songwriter and not a performer. Sharon reiterated this: “you’re always at ease when you’re singing and performing”. Dermot sang from the same hymnsheet, asking the judges to reiterate their praise for her for doing something different, which tied in nicely with the VT and wrapped up the apparent message: Grace is versatile, a good performer, can have fun, has personality, but this was never going to be her best week. Syco’s MD, Tyler Brown, has been in Music Week this week saying “the audience now want originality, they want artists to be authentic… I think the reason why people like Grace and Rak-Su is because they are authentic and they are great songwriters”. That seems to back up what the show has been trying to sell us since the first audition show. We’ll need further evidence before concluding that Grace doesn’t remain an intended finalist, at the very least. Who gets this week’s moment? We tried to predict who might get last week’s moment, and failed to even mention Kevin Davy White. Zut alors! 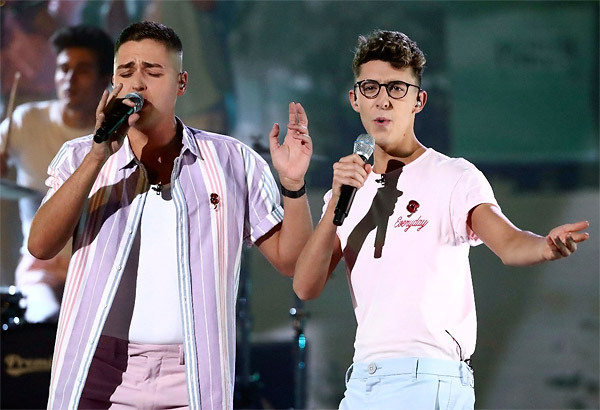 With every act performing George Michael covers this weekend, Grace and Rak-Su won’t have their angle of an original song to give them a boost. Who might benefit? Tim B suggested in our comments section that the theme would be in Lloyd Macey’s comfort zone, and we have to agree. The likeable Welsh lad has been on Loose Women this week talking about his battle with Crohn’s disease, and he’s also been busy getting his degree – a First in Performance, no less. Given the pimp slot in Week 1, and another chance to shine in Week 2 with a lovely VT featuring Nanny Chris, he’s been treated more positively than most. 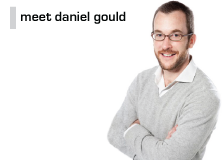 A moment this weekend may indicate TPTB think of him as their third finalist alongside the two market leaders. The Betfair outright market in the last few days has seen sustained support for him down to third favourite in expectation of it. Otherwise, producers may feel the need to ease a little off the Rak-Su pimping this weekend, and give another group a chance to shine. This week’s Betfair market has suggested that it’s more likely to be Sean & Conor Price, rather than the Cutkelvins. Simon’s comments to them last week also indicated something of the sort is in the offing – “we haven’t quite nailed a moment for you yet”, he said. So, the money’s on Lloyd and the Irish brothers as the most likely. Incidentally, this weekend’s programme timings indicate the prize fight may be around for another week. Saturday’s show is scheduled for 90 minutes, with an extra 10 minutes on Sunday for the much-criticised weekend winners’ singoff. TPTB were on top form on Saturday. 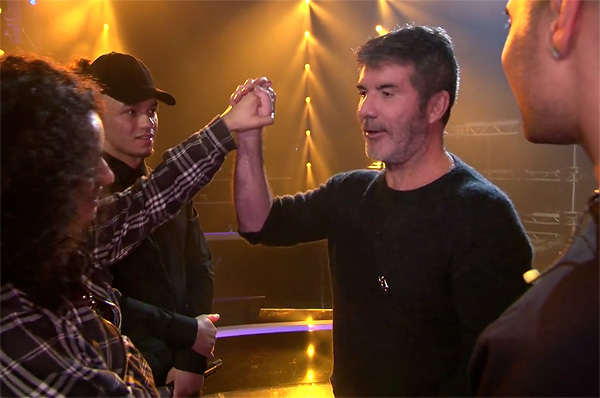 The aims were clear – get Rak-Su to the top and Leon to the bottom – and the manipulation was a masterclass from beginning to end of the show. Especially noteworthy was how many times one act’s treatment cleverly set the stage for, or called back to, something they wanted to get across about another act. It started with Jack and Joel, whose VT emphasised how thoroughly they were in their comfort zone with the Latino theme. It seemed at the time simply like a fun, feelgood way to introduce the theme for the weekend. But its strategic placement just before Leon turned out also to accentuate how thoroughly Leon was out of his comfort zone. Simon told Jack and Joel “you’re popular because you’re fun”, but added “you’ve got to come on here with the idea that you’re going to have a hit record every week”. That wasn’t really about Jack and Joel: it was subliminally priming viewers for the later presentation of Rak-Su as being both fun and capable of having a hit record every week. Introducing the Prices, immediately after Leon, Simon said: “maybe this song is going to be out of their comfort zone, but that’s not an excuse”. That wasn’t about the Prices – it was reinforcing what had just been said about Leon (Sharon: “You’re not always going to be in your comfort zone”; Nicole: “I know you were out of your comfort zone”. Dermot: “Like you said, you were out of your comfort zone”). Being out of one’s comfort zone? Not an excuse! The Prices’ VT then also served as a strategic contrast to Leon’s. 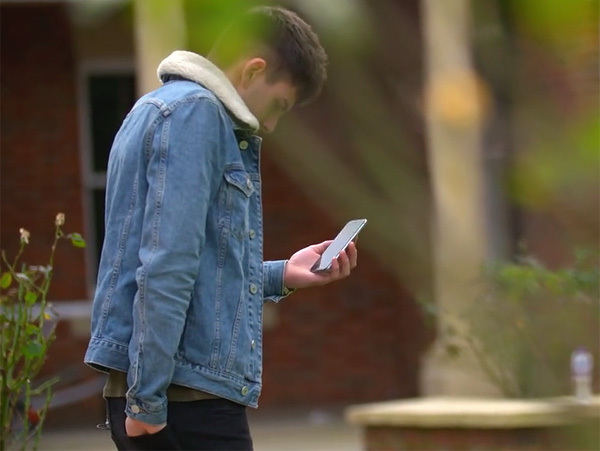 We’d seen Leon cutting a lonely figure in the garden outside the X Factor house, hunched against the cold, phoning his worried family. Now we saw Sean and Conor appearing thoroughly at home in the house, interacting happily with others and generally having a whale of a time. Simon’s comments to the Prices: “You know what I like about you guys? There’s no moaning, or ‘I didn’t like the song, blah blah blah’, you just get on with it”. If Simon had directly criticised Leon for moaning about not liking his song, that might have elicited some sympathy for Leon. So he praised the next act for not moaning instead. Next up was Lloyd, to whom Simon said: “What is so good about you is you actually know who you are as an artist”, a point repeated by both Sharon and Louis. This reinforced the criticism Simon had earlier made of Leon: “What I want to feel from you is that everything you’re doing up there is you… you have to own it… be you”. The Cutkelvins’ VT initially seemed to be a fairly anodyne, off-the-shelf storyline about song choice struggles: “We’re keen to see what the boss man says at soundcheck”, explained Jay. It then started to go off the rails: we saw them discussing with Simon how one choice was safer than the other, and Shereen explained: “You don’t get anywhere with the safe choice, do you?” Simon high-fived her for this statement. They duly came out performing… the safe choice. But it was in Simon’s comments to Rak-Su that the Cutkelvins’ VT was retrospectively portrayed in a starkly different light. “One word: respect. You know why? My favourite part of my job is when I don’t have to do anything. Because with you guys it all comes from you. You are a pleasure to work with”. Pestering Simon for advice, and when he’s just back from falling down the stairs? Cutkelvins! How could you! Rak-Su having been in the pimp slot in week 1, producers gave them the next-best running-order slot: second-to-last behind Sam Black in what we might call a “false pimp slot”, a tactic occasionally deployed in which the last act to perform feels more like an afterthought than the climax to the evening’s entertainment. Sam’s positioning in the pimp slot served two purposes: to the extent that Sam and Leon fish for votes in the same pool, having Sam fresher in the mind might have been another nail in Leon’s coffin, if it were needed. And the “irrelevant” and “dated” nature of Sam’s performance, in Simon’s words, served to contrast with Rak-Su. Simon even made the contrast explicit, saying there was a “30-40 year difference” with the “relevant” previous song. Simon’s maths is out, though: 56 years, surely? A cap-doff to producers also for Holly’s treatment last week, which was one of the funniest things we’ve seen on the show this year. 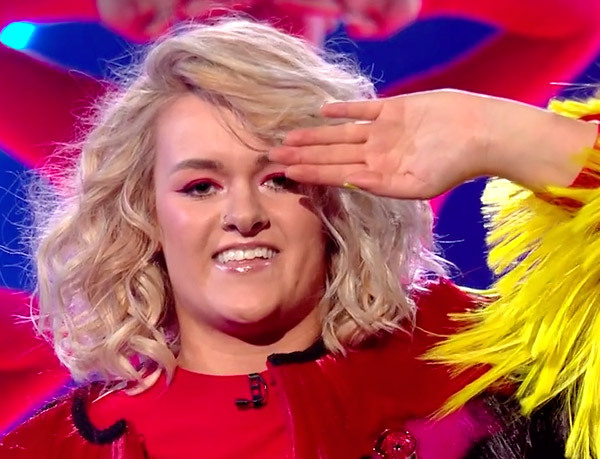 While producers seemed to want Grace beaten, they also seemed not to want to give any of the other girls enough help to get above her, instead preferring to big up Kevin. Holly’s treatment was duly unhelpful, in that the song choice deprived her of any chance to create a moment with her powerful vocals. But it wasn’t unkind, ultimately portraying her as a good sport. While many acts were allowed to get away with only a phrase or two in Spanish, there wasn’t much English in ‘Despacito’. As the most-streamed song ever, it was always going to feature in Latin week. Producers could have given it to Jack and Joel, who had travelled in South America. Or to Rai-Elle, who – as Dermot informed us – has just got a B in her GCSE Spanish. Nope. They gave it to the Broad Yorkshire lass, who cheerfully admitted that the limit of her linguistic abilities was “hola” and “scorchio”. “Are you sure you’re from Yorkshire, not Puerto Rico?”, Nicole kidded afterwards. Louis patronised: “A northern girl singing Spanish! But you know what? You did it!” The gentle mockery was all paid off by some kind words from Simon: “You looked your age, you sounded current, you sounded relevant, you were having fun. This was one of the best tonight”. It allowed Holly to depart the stage with a grin on her face, prospects in the competition unadvanced, but dignity intact. Sam, in his VT: “Rod Stewart walked past me to go to the toilet, I thought I literally can’t help myself, I’m going to have to go in there and speak to him.” Had producers, filming Sam telling this story, made sure he mentioned that toilet detail? It made the ensuing mobile footage of Sam and Rod hugging look a lot less glamorous, knowing where it was being filmed and what Rod must have been doing when Sam introduced himself. 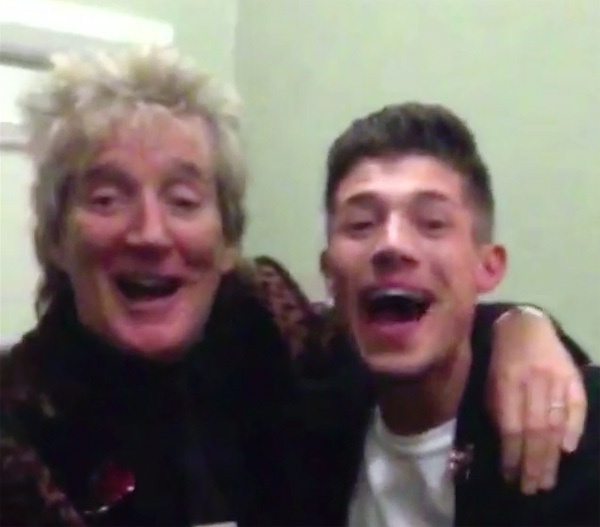 To be fair, Rod looked like he was enjoying his duet with Sam more than with Che Chesterman in the 2015 final. Louis to Leon: “I hope everybody in Great Yarmouth votes for you now.” This phrasing was genius: it implied that (a) Leon is a hopeless case outside of Great Yarmouth, and (b) even in the Great Yarmouth stronghold, support couldn’t be taken for granted. Dermot to Shereen: “Like, you decided to turn up here not on your own, you auditioned with both your brothers, so, you know, I’m sure you feel comfortable around them, yeah?” Actually, Dermot, ever since we’ve been children I’ve preferred to have them confined to their own boxes and kept at a distance. 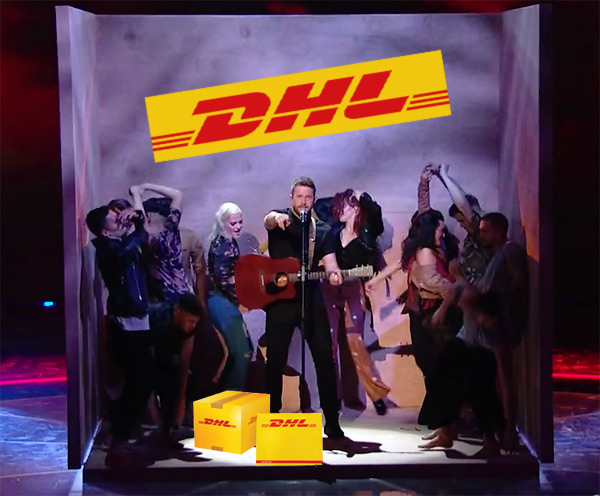 Simon on Matt’s staging: “It was like DHL were going to send you in a box to another country”. An interesting mental image to create. Will DHL be collecting Matt this weekend? Do let us know your thoughts on this and other pressing matters below. 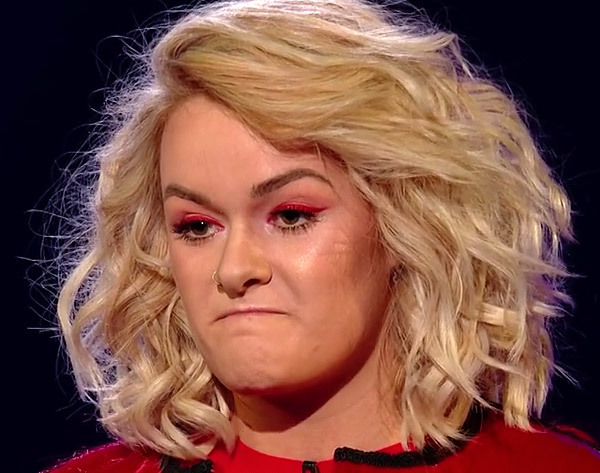 108 comments to X Factor 2017 Week 2 Review: A Fall from Grace? If they can engineer a Lloyd vs S & C prize fight this week they’re geniuses. They probably will as they seem to be getting much more adept at getting what they want these days. Agree that The Sun article is a warning to Grace. It ends by suggesting she is just a perfectionist, not a diva. It could have been a lot worse. I’m very proud that my 1961 jab at Sam Black is being recognised. Impression: It’s a toss-up on who has it better, will depend on the night, but Matt has a slight edge because Careless Whisper has a sexual element that reinforces his image. I would say they must be happy with how Lloyd is polling as the song choice keeps him pretty much in his lane. If he couldn’t top the vote from pimp slot in week 1 it seems unlikely this week – unless they really pull back other acts. Freedom ’90 is a “winning song” but Papa was a Rollin’ Stone is the perfect way to insert The Cutkelvins’ dad into the picture (they even posted an IG story of him with Dionne Warwick mid-week). Barring some disaster, it’s two eliminations sorted. note: Neither Killer nor Papa was a Rollin’ Stone are George originals. The original arrangement is very house so I wonder if the male siblings will be DJs again. Sean and Conor: ”I won’t let you down, I will not give you up, Gotta have some faith in the sound”. I laughed so hard! And just last week people were still wondering if they could win the competition. They’re just a typical Digital Spy fanwank, in my opinion. I still expect them to poll higher than Jack & Joel. I don’t think they’ve a hope of winning but I don’t think it’s a bad choice for them. They’ll probably EDM it a bit and it’ll come across as quite contemporary. Impression: Tough one, but Jack & Joel lose for sure. The Cutkelvins can reinforce how “current” they are while the other two have the most well-known George Michael tracks. It depends how they play it. ‘Faith’ lends itself to being Rak-sued. Then we’ll be told how they made it their own, how current and relevant they are. Then they’ll win the night. Then they’ll lose in the prize fight to the act that sings something straight. I think a story for the weekend will be: will Rak-Su get three straight or will they try to get S&C/Cutkelvins over for *just one week* to shake things up? OF COURSE Grace got the Bonnie Raitt song. Slow song (new!) for Rai-Elle; is she the target? Impression: Grace wins. It delights her demo and the other three have same-ish songs; Rai-Elle loses this squabble. I don’t know now. Grace (who doesn’t do covers) doing the Adele cover of the George Michael cover of the Bonnie Raitt song. Personally I think Adele makes it sound a dirge (then I think she make most things sound a dirge so what do I know), other than Adele is better at singing dirges than Grace. Maybe it is Lloyd’s week after all. Or maybe the public really do love Grace singing dirges and she’ll easily top the vote. Grace has a great song this week. Perfect for her. ‘Praying for Time’ perhaps there is a message in the song title? One question: Have the mechanics of the double eliminations been outlined already? UPDATE: There will be ONE elimination per night this weekend. Looking at this outright market longer term, how would you price Grace v Rak-Su if they were the final two come Sunday 3rd December? I would make Grace the odds-on favourite. 1/3 Grace, 9/4 Rak Su. Grace clear fav, as she would have had to overcome several obstacles to get there in the first place, demonstrating that she has the support. I don’t think she makes the final as it happens, but there you go. Would be hard to choose between. I’d have Rak-Su as marginal favs at this moment in time with just over a 50% chance. Maybe Raksu 5/6 and Grace 6/5, something along those lines. Although i’m no betting expert. How would you price it @CherryAnalysts? A final without a female in it? That’s not going to happen is it… so cutkelvins or grace then? 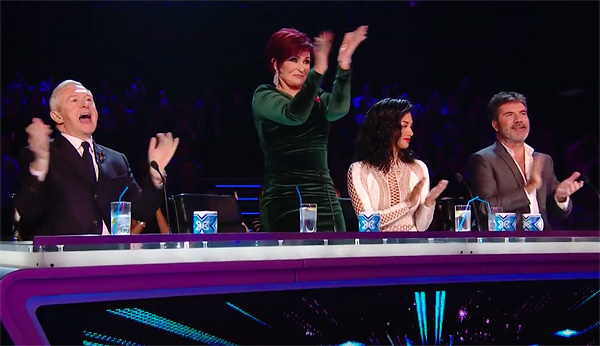 I would imagine that Simon would be licking his lips at the prospect of a Popstars: The Rivals style shootout between 2 groups in the run up to the final and the xmas number one slot. Rak-Su v Cutkelvins…why not! Not saying I think this will happen but just hypothesising a potential scenario that sees grace outside of the top two. #Rakpak v #CuttyGang does have a certain appeal commercially however, I must say. Absolutely nothing to suggest Cutkelvins will be anywhere near the final. Totally the opposite I would say. other than the constant gushing over Shereen “you are a star”, and the fact that they have done exactly what has been asked of them so far (letting Shereen take centre stage). If we continue to see a Grace deramp (not saying we will, hypothesising again) then Shereen (and her group) could take these votes. She is a lot more charismatic than Grace, has shown herself to be a lot more humble, is significantly more attractive, and doesn’t have the voice tics that many people find so annoying. If TPTB want to get the Cutkelvins deep into the competition then they certainly can. Of course, they can be gotten ridden quite easily if the narrative suddenly changes into them being “not a real band”, ” a one woman show” , “two weak links” etc. Sam Black is sick? Is this why they axed the mass elimination? So no double elimnation this weekend so that means jack and Joel r goners for their category. If Sam is sick thta means rai Elle is gone. In terms of song choice grace would be very helpful and an Adele song would be good for her. I could see a slight deramp for raksu and another group getting pmiped. Based off the cutklving song choice i could see an emotional VT of their dad to a good performance. I could also see Lloyd getting good treatment but not a pimp i think they’ll want him to win the vote. I think deramping Rak Su on a week where they could easily fall into the bottom two is not obviously what the producers want so they have changed back to one act leaving per show for that reason. Rak Su will be back to being pimped to high heaven next week when the can get rid of two acts per night and won’t need to worry so much about Rak Su. I can’t envisage any scenario where TPTB would even consider deramping Rak Su. They may well ease off on the OTT-in-your-face over promotion of them (a la Grace last week), to see how well Cutkelvins and the Prices manage with a bit of a producer assistance. Totally agree Yolanda. They may ease off the pimping but there is no chance they will damage them long term. They’re not going to derail an act they are so obviously going to sign. I don’t mean they were gonna do a full on takedown, I mean slowing down on the over the top praise and standing ovations but doing that on a week were two people will be leaving on the same night they could slip into the bottom 2 especially with the short voting window and the producers know this. She needs Matt so that she has someone new to write songs about when he dumps her. (Joking aside, she’s got a lot more going for her than he has). The double eliminations have been cancelled due to there being a doubt over several contestants being able to perform. I don’t see any let up over the show’s support for Rak-Su, but I do see them failing to win a sing off until the final few weeks. ie. the show pushing the idea that they deserve to win something after reaching the sing-off every week. This is the weekend we see the true intentions for Grace. Any mention of her being a diva indicates a massive deramp. If they do want her in the final they’re doing so with the intention of preventing her gaining any new support, which is how they finally toppled Janet. And if she does reach the final a reprise of Roots would be too much of a risk as it could give the the boost to win the show, which I don’t believe TPTB want. Watching on a Saturday/Sunday night with his family and armed with his iPad in the corner? I can imagine that the demo is large. What would play to this demo? Attractive girls and reference to older bands? Old research in the pre app days found women made up the large majority of voters. Nothing I know of to suggest that has changed. They get more emotionally involved with the singers. Could be an increase in men. Who uses iPads more? I always found it weird that people would watch TV while doing something else on their tablet or mobile. It could include a lot of people who want the company of their family ie be together with them but aren’t really that interested in the program. With 2 going instead of 4 they have less power to target middling people they don’t want, ie the dross will go, possibly leaving a middling act to go through with unwelcome increased support. I’m a dad and so far have voted for Grace, Rak-Su and Leon. Analyse that. An individual does not make a usable statistic and is irrelevant. I’d say Rak Su get the dad vote. They’re not particularly attractive and so arent a threat, theyre not too young, seem to be having fun every time, and are a dumbed down/sanitised version of what actually is currently considered “cool” by the music buying demographic. Ireland will have their World Cup qualification playoff clashing with XF. Just saying. my dad would never dream of voting in this thing. I think a lot of men of a certain age would rather die of embarrassment than download the app to their phone, but that’s an assertion I have no evidence for. George Michael weekend isn’t filling me with excitement I have to admit, although it is good that they’re going for a few more unexpected song choices. To me, it seems as if they’re trying to level the field for the girls and groups, and about time. 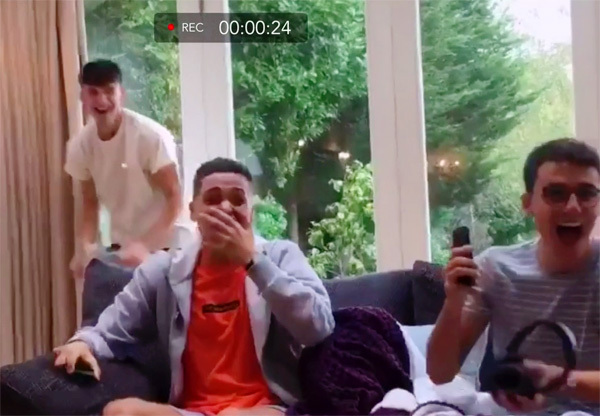 I wouldn’t be shocked to see any of them who aren’t Grace or Rak Su targeted – but as somebody else has suggested, they seem to have their idea of who will be in the final and seem relaxed about who goes between now and then, hence the original plans for a quadruple elimination. I think the sickness cancellation is genuine – having a “normal” elimination is hardly going to generate column inches. Based on song choice, I think Cutkelvins and Rae Elle are most in danger but it’s a fool who puts money down on that alone these days (unless it’s That’s Life). I dont really see that doing an Adamski number is favourable in George Michael week. Considering it was born out of the rave scene I always found it a bit depressing. It might pick up votes from anyone looking for an alternative to the ballads though I guess. I always thought that George Michael was a brilliant writer of throwaway pop songs (Wham) but was awful at the more mature “serious songwriter” type stuff (most of his solo work). But as with most things Im probably out of step with Joe Public. Odds are a little volatile I feel with the split nights, I can see Rak Su going even higher in the odds after tonight and then Grace’s odds becoming more attractive? I’m trying not to be pedantic here but there was some confusing odds talk in an earlier thread as well with words similar to “higher” and even “attractive”. Higher means bigger number ie longer odds ie lengthening/drifting but I sense you actually mean shortening? (No confusion if “shortening” vs “lengthening or drifting” are used). And I’m assuming you mean “attractive” to back rather than attractive to lay off? (No confusion with “shortening” vs “lengthening or drifting”). Yes I meant Rak Su shortening and Grace odds drifting hence being more attractive to place a bet on if fancied. We’re mainly reality TV, and in particular X Factor and the Eurovision Song Contest. As for the Christmas No. 1, erm, not the winner of this show. My money is on Last Christmas. Do we need to talk about rai Elle? Song on a talent show which she was on bbc in, it really showed off her voice…. breakout moment? Not really. She only had to beat 1 other person. As soon as I saw Rai-Elle was in the auditions I thought there was a very good chance she would make the lives. A genuinely talented, “fearless – not cocky – fearless” performer, and very versatile. Also ticks a box to please a certain type of demographic. TPTB would have seen her on “Got What It Takes” and known she was absolutely solid and guarateed to put in a good performance every week. Like me though I think they would have thought that she wouldnt really threaten any of the chosen ones in the vote so I think they knew they could put her through as a solid performer who wouldnt cause them any headaches. This years Relly C if you like. Although this is a show that specialises in insincere and unwarranted praise I thought I saw genuine affection in last week’s judges comments. I’d guess shes a bit of a trooper backstage and Cowell loves someone with a strong work ethic and winners attitude. On that basis Im not sure they will throw her under a bus. And that’s my point, with a creeping momentum and short time frame… they may have to throw her under a bus to finish her off? I think Matt’s support is still too robust to take him down NOW, but based on that press, it’s becoming clear that Kevin will be top Over this year. My take on the two nights. – It’s hard to see past Jack & Joel leaving; their song isn’t really much, even for a Wham! song. – This week it’s becoming more clear that TPTB prefer Kevin over Matt. Linking the latter with Grace amidst a flurry of pedophilia revelations in Hollywood (Grace is old enough but still) stinks up his potential MOR vote. – The Cutkelvins could have a song that’s both current and demonstrates their unity (i.e. not in boxes), or they could have a mess. – Rak-Su are presumably allowed to Rak-what up Faith. Even without the mass pimping of the first two weeks, they can still win the night. – I’d think Sam is a cert to go, but him being sick + having the ONLY uptempo song of that night may insulate him. Given that the show still needs that quadruple-kill soon, eliminating him now will prompt TPTB to protect Lloyd next week, something they may not like too much. – In danger are Rai-Elle and Alisah, likely the latter based on last week’s treatment. That said, having Rai-Elle do something slow may put a downer on her support after two fun performances. – The more I think of it, the more I’m sure they’re not interested in Lloyd getting his “moment” (ship sailed two weeks ago). Grace sings a well-known song she’s done for years. The queen may well be back. – Holly is being allowed to coast. Good for her. Ah, this is why all the media keep on understating Grace’s age. Creating a false narrative of Matt having a fling with a twenty-something is different to Matt bedding a teen, who he subsequently dumps. Holly may be coasting along as TPTB still aren’t sure if she’s going to come into play – depending on what happens with Grace. Despite the apparent amusement at last weeks performance I think it’s possible to put a slightly more positive spin on it. Lauren Platt and Emily Middlemass seemed unable to do anything with a pace quicker than funereal. Move and sing at the same time – tricky. Sing in a foreign language – unlikely. All at the same time – that would probably have provoked melt down. Ok it might have been far from perfect, but to be fair even things went wrong she kept going, rather than falling apart as would have happened with Tamera. As someone said above, Simon likes a trouper, and that’s how she’s coming across. For some reason, her performance reminded me of Rylan doing Gangnam Style with all those Karl Lagerfelds. He was third in the vote that week. This is getting weird now. What the hell are they playing at? the takedown steamroller really is in top gear here. Clearing the path for Rak Su to kick on unhindered, or do they still have someone else in mind? Should be a very interesting weekend. The agenda seems very clear. The motive is not, especially when considering that they’ve dedicated so much air time building her up. Agreed, its a very, very strange one. Could be something that annoyed them about her in the months between the filming of 6CC and JH. Is there no chance that this is the just Mirror printing their own story and not planted by TPTB? Are we in danger of over-estimating Cowell’s influence? Given the falling ratings the show probably needs the publicity as much if not more than the press need Cowell’s patronage. Steve Brookstein’s book mentioned that journalists receive gifts such as paid for trips to wherever JH are being filmed in return for printing this garbage. They possibly didn’t know Grace house shared with the iconic Miss Devlin. If they only found out between 6CC & JH, TPTB may have simultaneously spat out their Macchiatos on hearing the news. But that doesn’t explain the week 1 treatment, unless they intend to rip her to shreds with the threat of losing her P!nk prize their to keep her from walking. Her Week 1 treatment wasn’t all positive though. The judges name-checked Lloyd and Alisah as the winners of that night. My rapidly scribbled down tissues for the night’s winners, pre-running order announcement if anyone wants to dissect them! Running Order posted to our Twitter in 10 mins. Grace appears to be getting a lot of bad press, George Michael week doesn’t really suit Rak-Su BUT they can still win it. I think they’ll be 1.9x after tonight, so I’m backing them in the outright market again. In terms of the press, I believe it’s usually The Sun which is linked to TPTB, The Mirror I thought was more self-generating? Adios Ciao Matt from the coffin box? Under the assumption the Jack & Joel are the targets, The Cutkelvins will have a good night. Whether it’s a winning night is another matter. Rak-Su opening was pretty predictable after two great slots. Not even TPTB could be so obvious as to put them on late again, and this clears the way for more pimping in the weeks ahead. Matt and Jack & Joel seem to be the targets but I think Matt has more support, so J&J definitely in most danger. Wouldn’t be surprising to see Kevin top the vote again from last. While I agree he appears to be treading on thin ice, im not what he failed. I think he actually avoided a pimp slot assasination. Pimp slots are only helpful if the song choice, staging, and judges reactions/ comments are helpful. None of which were for Matt. They weren’t helpful, but he didn’t help himself… Livin’ La Vida Loca is a song that he could’ve done something with. It was a similar ilk of song to Kevin’s song… difference is that Kevin was able to grab the song, perform it well and put his own stamp on it. Matt’s was like listening to me attempting Karaoke to music coming from my phone after 14 pints on Monday night… soulless dirge. 11/4 is a fair price I’d say, and one that I would expect to get shorter after his performance, and the performance of his main “rivals” J and J. £100 at 16/1 on Kevin going from the pimpslot…? “We’ve already seen last week how the final slot can be an effective tool for dampening someones chances as much as it can be for pimping them for victory. Time to switch to the new thread for tonight’s show – thank you everyone! So who do they want to open for Little MIx and then get a huge pimping ten days before the final?